I worked my half-day today in the lobby. It didn't seem a bit like a Friday, since we got that out of the way on Thursday. It was more like it was a Sunday and we all forgot to stay home. The few customers we had were pleasantly surprised we were open. The other bank in town was closed and the credit union shut down at noon. I had my check-up this morning at occupational health. They're surprised that all I have left from the fall two weeks ago is a slightly sprained right wrist and no pain anywhere. I'm a bit surprised, too, that I hit a concrete floor that hard and this is all I've got. My lifting limit on my right arm was increased from three pounds to five. I'll get the elbow x-rayed in two weeks and see how that fracture is doing. I'm being good and not doing things I'm not supposed to do, and it doesn't hurt at all. I'm thankful. And that is what I've been pondering today - gratitude. All my life I've felt overwhelmed with thankfulness, and never more than right now. You're not here and I miss you but, as I said yesterday, I wouldn't have you back for the world, for your sake. Your struggle is over and you have your reward. I wouldn't take that away from you. Other than you not being here, it's hard to imagine anything better than what I have here. I get to keep the house - have to, rather, because the mortgage is so low. I love my job - I'm solvent, I enjoy it, I like everybody I work with, and it's giving me back identity and purpose and self-confidence. I adore Jethro and his three cats. I have wonderful friends and family, both here and at a distance, and I couldn't ask for a better infrastructure. I never lack for anything. I'm able to work full-time with fibromyalgia - a surprising blessing. And as God is the God of widows and orphans, and I am both, He has provided every little thing that I've needed. The only thing I could ask is to go to Heaven at the end of this life. And so today I wondered: Abraham believed God and it was reckoned to him as righteousness. Can my gratitude be reckoned as righteousness? It seems to be all that I have to offer to God. Chronic illness doesn't even let me get to church very often. I can't do great good works, just lots of little ones since I'm in a service job. I give my pledge to the church, but it's nothing like the time I could give it when I wasn't working. I don't always get the prayer time I should, and certainly not while I've been sick. The only thing I have to offer is gratitude. And maybe that is connected to a love for God; that would be good. 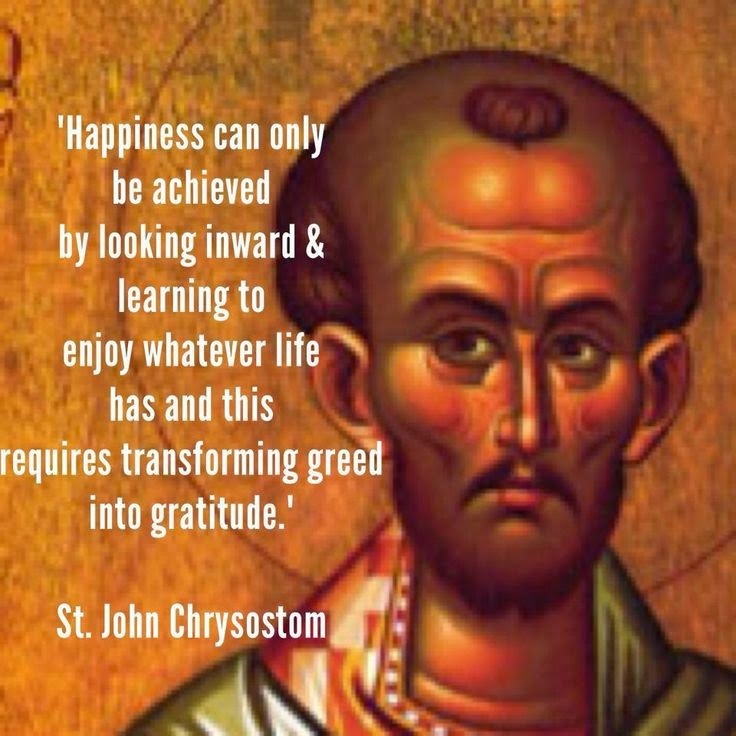 I need to look up quotes of the Church Fathers on gratitude. I just know that it matters. And I know that there have always been times in my life when mine was so great that I nearly drowned in it. This is one of those times. Thoughts? Let me know what ideas and suggestions you have. And know always that, since we became friends in 1974, my greatest gratitude has been for you. It still is.